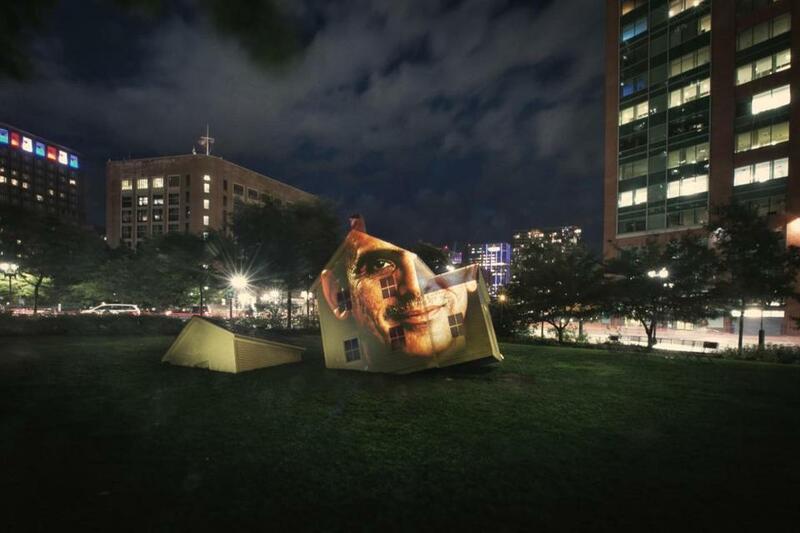 A image from the “Boston #StandsWithImmigrants” art project, which features portraits that have been projected around the city. As a toddler, Pardis Sabeti arrived in the United States with her family on the eve of the 1979 Iranian Revolution. She lived in crowded homes with relatives, grew up to become a scientist, and led a team that sequenced samples of the Ebola virus as the epidemic raged in West Africa in 2014. Thaer Abdallah, a Palestinian artist and human rights advocate, now lives in Boston. He fled the war in Iraq and went to Syria, where he taught children in refugee camps how to paint using their tents as canvases. Jacobs has been crowdfunding to buy his own projector, but in the meantime, he’s done test-runs around the city with borrowed equipment and watched viewers’ responses. 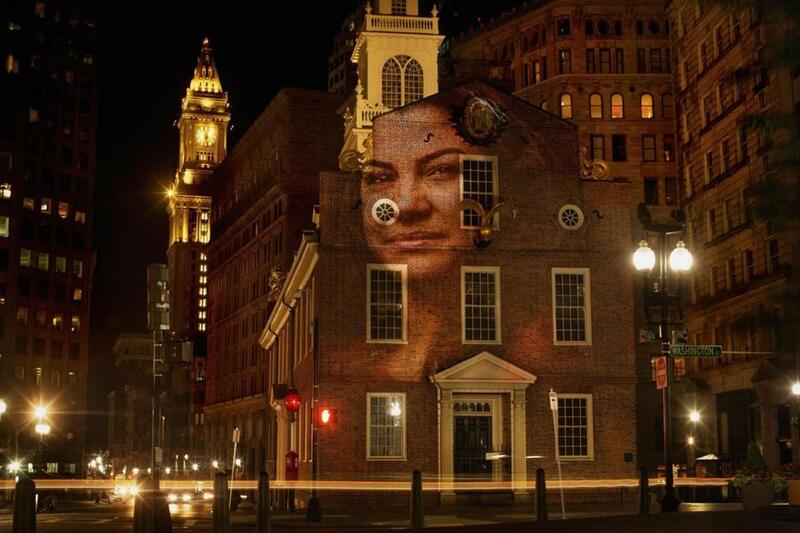 Jacobs projected the face of Jennis Perez, a recent Cuban arrival who cleans office buildings in the Back Bay, onto the centuries-old facade of the Old State House. 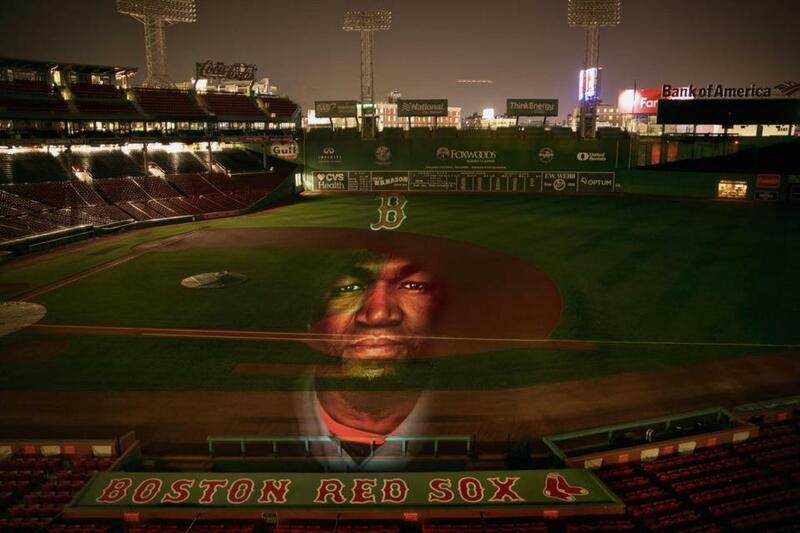 David Ortiz lit up the baseball field at Fenway. 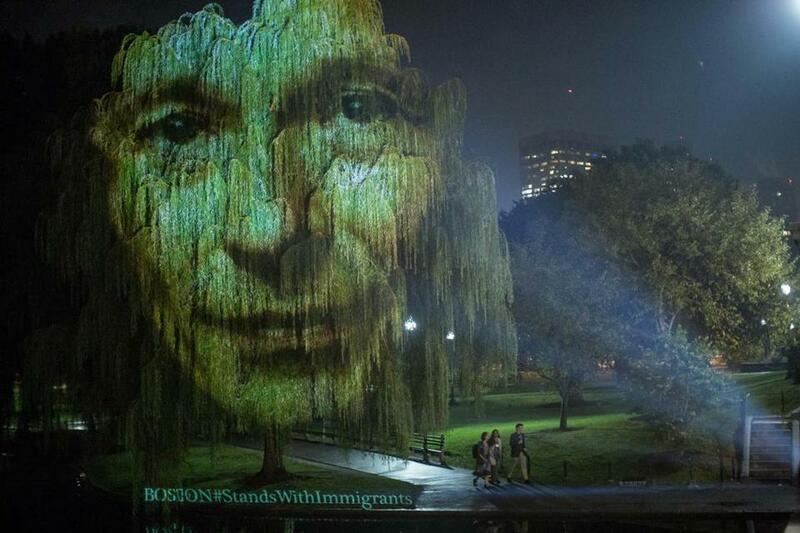 Russian entrepreneur Semyon Dukach was projected onto trees above the Public Garden. A few of Jacobs’ projections will be featured at the Westin Boston Waterfront on Thursday at the “We are Boston” Gala, which highlights the contributions of the area’s immigrant community. On Dec. 4, they will be featured in the Senate Chamber at the Edward M. Kennedy Institute. Jacobs is working in conjunction with organizations such as the Massachusetts Immigrant & Refugee Advocacy Coalition and the Mayor’s Office for Immigrant Advancement.